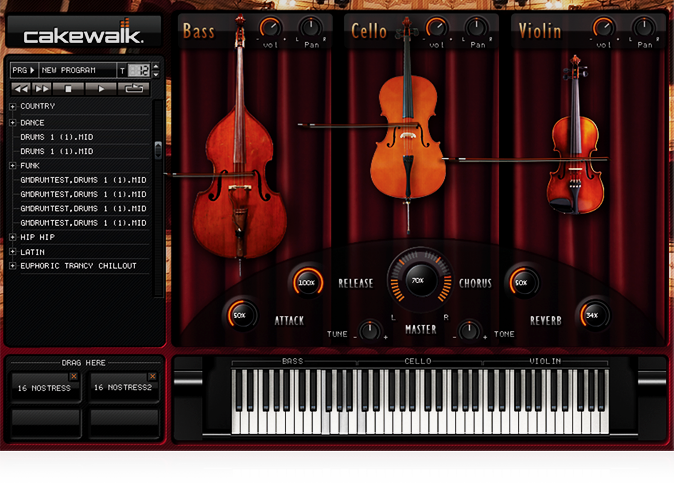 Now Bass, Cello, and Violin sounds are right at your fingertips. The ability to control each instrument's attack and release, as well as chorus and reverb means you can get exactly the sound you're looking for. Control the nuances of your string sounds with control over Attack, Release, Chorus, and Reverb for the string section, plus pan and tone for each individual instrument.